As Jinko Solar looks to expand their product reach across North America, they recently hired Toronto-based scratch for a new branding assignment. 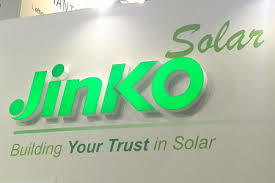 Jinko Solar is a global player in the solar PV industry with production operations in Jiangxi and Zhejiang Provinces in China, as well as sales and marketing offices spread-out internationally. Jinko Solar hired scratch to help create a consistent message in their North American magazine trade ads. Their communication was not geared appropriately to North American consumers, and Scratch was tasked with creating advertisements that would focus on communicating the product to the North American market specifically. Over the past year scratch had developed three ads for the solar panel company that would represent a few of their core values: stability, trust and dependability.